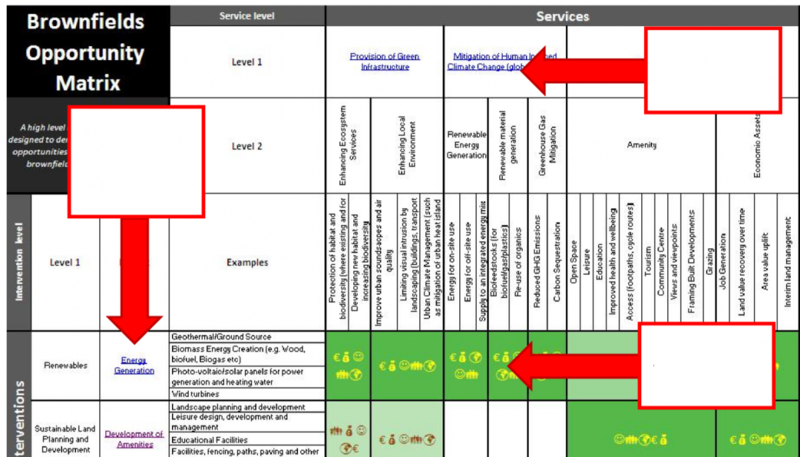 The Brownfield Opportunity Matrix (BOM), first developed within the HOMBRE EU project, is a simple Excel based screening tool that essentially maps the services that might add value to a brownfield redevelopment project against the interventions that can deliver those services. Further guidance and the BOM tool are available in the download section. If you have a question or would like to get in touch, visit the Contact Page.